To recognize outstanding individual achievements and note-worthy contributions to coatings science, technology and engineering, confirming PMSE’s long-standing and continuing support and dedication to excellence in the science, technology and engineering of coatings. The awardee will receive a $3000 prize, plaque and a $1500 maximum travel allowance to attend the Fall ACS National Meeting where a symposium is held in their honor and the award is presented. The award was originally established in 1986 and is funded by a grant to the Division from Dr. and Mrs. Roy W. Tess. The nominee(s) for this award must have a documented record of impactful individual achievements and contributions to coatings science, technology and engineering. Nominations are welcome from all sectors of industry, government and academia by September 1 of each year. The Tess Award Criteria and nomination procedure is available as a [PDF], listing the preferred contents and format for a nomination. Nominations should be submitted to the Chair of the Roy W. Tess Award Committee. Nominations will be reviewed by members of the Roy W. Tess Award Committee, PMSE Past Chair and additional reviewers selected by the committee. Each nomination will be considered viable during four award years following its receipt but must be renewed beyond that time. The deadline for applications for the 2020 Roy W. Tess Award in Coatings: Deadline September 1, 2019 to Theodore Provder [E-mail]. 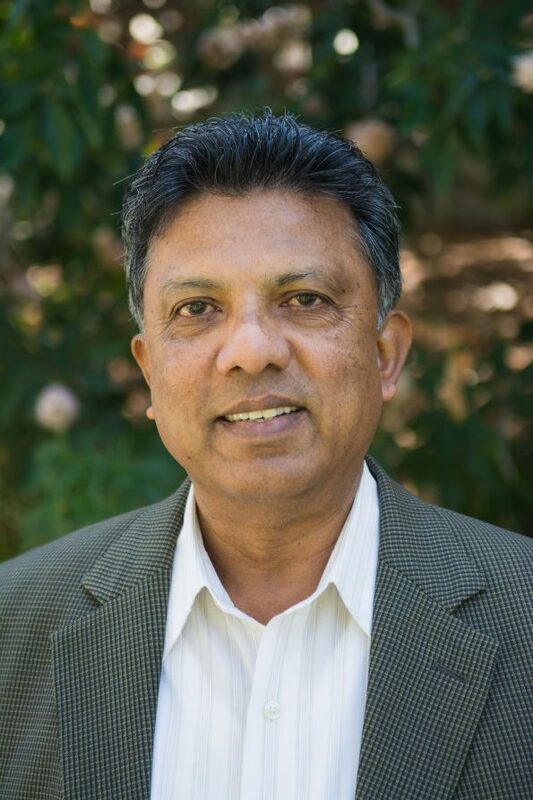 Dr. Fernando has been a professor and Arthur C. Edwards Endowed Chair and the Director of the Polymers and Coatings Program in the Department of Chemistry and Biochemistry at California Polytechnic State University, San Luis Obispo, CA, since 2002, and will receive the Roy W. Tess Award in Coatings for 2019. The announcement was made by the Officers and the Award Committee of the Division of Polymeric Materials: Science and Engineering (PMSE) of the American Chemical Society (ACS). Previously Dr. Fernando was a Lead Research Chemist at Air Products and Chemicals, Inc., Principal Scientist at Armstrong World Industries Inc. USA; and Research Officer at USA and Rubber Technology Division of Ceylon Institute of Scientific and Industrial Research Colombo, Sri Lanka. Dr. Fernando received his Ph.D.at North Dakota State University, Fargo, ND in the Polymers and Coatings department. He obtained his B.S. degree in Chemistry from the University of Sri Jayewardenepura in Sri Lanka. Coating’s formulation, including resins, additives like surfactants, and rheology modifiers, and relating them to the application and performance properties of the final product. In a sense, Ray’s work bridged the gap between the synthetic polymer chemist, and the process/application engineer, illuminating why a formulation worked the way it did, and the key raw material characteristics and specifications necessary to obtain satisfactory and reproducible results. Much of Dr. Fernando’s work has focused on the industrially important associative thickeners, which are used extensively in latex-based waterborne coatings. He made important contributions to understanding the role of dynamic uniaxial extensional viscosity in properties like spatter of roller-applied coatings that dominate the architectural market, as well as the behavior of spray applied waterborne coatings used extensively in industrial applications. At Air Products, Dr. Fernando made numerous contributions to improve the performance of products based on vinyl acetate/ethylene copolymers (AirflexÒ) in solvent-free formulations, hybrid acrylic/polyurethane resin dispersions (HybridurÒ), and a unique coating system based on water dispersible polyester resins cured with isocyanate resins (AduraÒ). He also made significant progress in understanding the dispersing of nanoparticle rheology modifiers in formulations. During his Armstrong career, Dr. Fernando worked on a wide range of coating technologies including solvent- and water-based polyurethanes, UV-cure systems, and architectural latex systems. In his industrial career Dr. Fernando is credited with 12 peer reviewed publications, 3 granted patent families, and numerous other publications and presentations. Since joining academia, he has published 17 peer reviewed publications, 1 patent, and a long list of non-peer reviewed publications and presentations. Considering that the department at Cal Poly does not have a Ph.D. program this is indeed a very high level of achievement. Lecture Award. He received the 1998 FSCT Roon Foundation Award. Previously his volunteer contributions to the industry and ACA/FSCT, in particular, were so extensive that in 2004 he received the FSCT Service Award, and in 2005 the FSCT President’s Award for Distinguished Service to Professionals in the Coatings Field. He has also served as an editor for ACA’s Journal of Coatings Technology and Research (where he is also a member of the Editorial Review Board), as well as Progress in Organic Coatings and other journals in the field. With the American Chemical Society, he has organized a symposium on nanomaterial applications in coatings, and edited proceedings for an ACS Symposium Series book that followed the symposium. Perhaps, most importantly how those interactions affect the application, flow, and final product performance. Prof. Fernando is an exemplary and outstanding scientist, technologist, and devoted educator. He has impacted coating technologies by creation of new science and novel approaches. Thus, he meets the criteria set forth for the award, e.g., contributions to science, technology, and engineering related to the coatings industry; embodiment of the standards of technical achievement; service to the coatings industry; and leadership as established by Roy W. Tess. Dr. Fernando will receive the Tess Award from Dr. Mathhew L. Becker, Chair of the PMSE Division, in August, 2019 during the 258th National Meeting of the American Chemical Society in San Diego, CA. An evening reception in honor of the Tess award recipient and other PMSE and POLY award winners also will be held at the ACS meeting. 1988 Zeno W. Wicks, Jr.